Paying consignors with a paper check is so 2000’s. Save time by paying your consignors with PayPal Mass Payments through SellerVantage. When you pay consignors, you can choose to pay via Check or PayPal and complete the payment from SellerVantage while we are close to introducing additional payments that can be managed outside of SellerVantage (indicate consignor was paid by cash, direct deposit, etc). PayPal Mass Payments fee is 2% of the total up to $1 per payment, taken from the recipient. For international recipients, the fee is 2% of the total, up to $20 USD per payment. Interested in setting it up in your account? PayPal doesn’t charge anything to set it up even if you don’t use it regularly. Important: First time users should contact their Account Manager or PayPal Customer Support to enable Mass Payments for their PayPal premier or business accounts. PayPal accounts must be white listed for the Mass Pay API to function properly. Follow this guide to connect your PayPal and SellerVantage accounts for this. 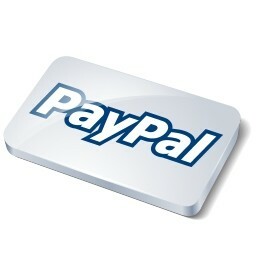 Learn how to pay consignors via PayPal once your accounts are linked.